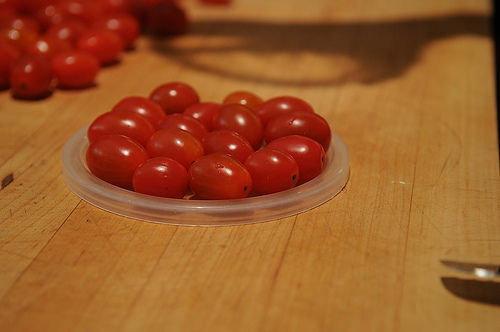 Slicing cherry tomatoes individually can be kind of time consuming. While we’re never opposed to just eating them whole, sometimes you’ve got to slice into them. 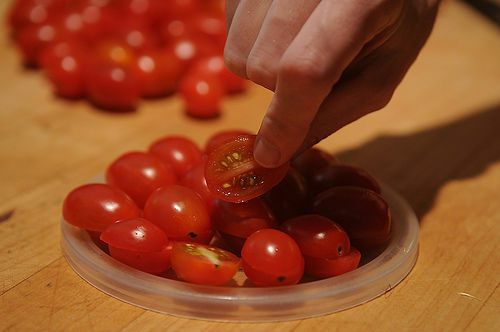 Here’s a quick tip for halving handfuls of cherry tomatoes at a time, using a few things you probably have lying around your kitchen. If you’ve got any other tips or tricks for dealing with tomatoes, share them with us in the comments!! 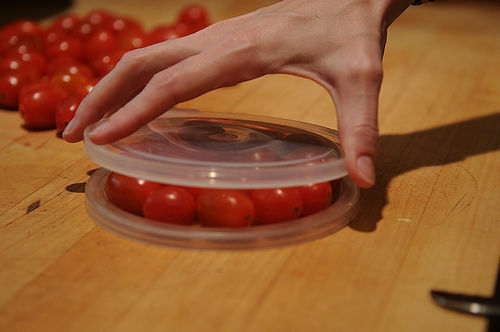 1.You need two lids from plastic containers, fill one with the tomatoes. 2.Place the other on top. 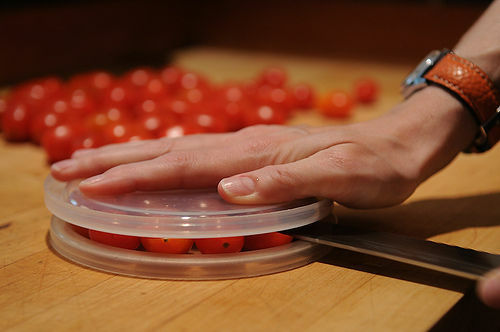 3.Hold the top lid to keep everything in place and carefully slice through the tomatoes. 4.And that’s it, instantly halved cherry tomatoes. Now go enjoy the rest of tomato season.